Seungri is speculated to have deleted evidence tying him to police officers on Instagram. 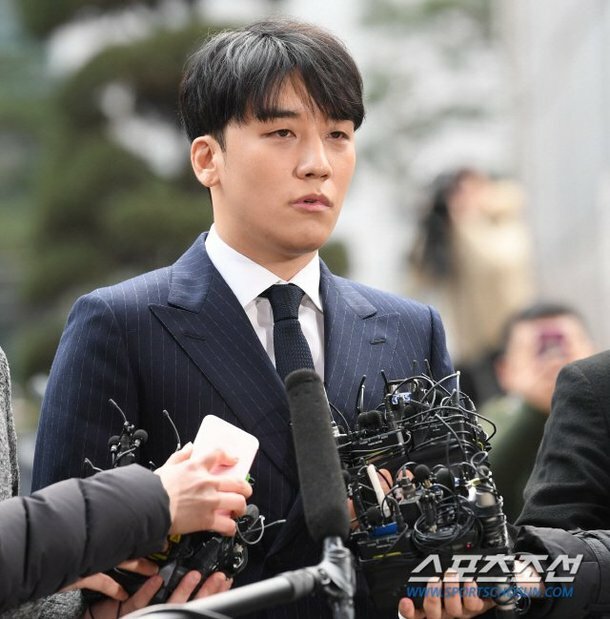 The March 18th episode of TV Chosun's 'Current Events Show' revealed Seungri is suspected of hiding evidence by deleting pictures of himself in a police uniform. According to the show's reporter, a forensics lab will have no issue deciphering the name on the uniform itself. On November 25, 2014, Seungri posted the below photo of himself wearing a police uniform with the message, "Salute." In September of 2014, the former Big Bang member was in a car accident, and though he was suspected of driving under the influence, the accident was officially filed as a speeding issue. Seungri has allegedly deleted the photo of himself in a police uniform around the time of his legal issues, which would suggest he was deleting evidence. Senior Police Superintendent Yoon, who's the police officer with alleged ties to Seungri and Jung Joon Young's controversial chatroom, stated, "I didn't know Seungri in 2014, and I didn't even know the group Big Bang. I'll hold those who report on these speculations responsible for defamation as they haven't even confirmed with the parties involved." As the case against Seungri grows, YG Entertainment and Big Bang have been removed from the singer's official Naver profile. On March 19, users found they could no longer search for any YG Entertainment or Big Bang related terms or links through his profile on Naver. The official Naver profile for Big Bang also only lists the 4 remaining members, G-Dragon, Taeyang, T.O.P, and Daesung. Stupid move if he did. Netizens can and will dig through for past posts. Only slapping himself in the face if it was to destroy evidence. We shall see. Doesn't shock me about YG and Big Bang being removed from his Naver. That's not hiding anything from the public as much as it is trying to do damage control- what little bit is left to be done in this situation. Most of that will have to come when the other members are out of the military. But as I said on another post, why do these guys keep going on their social media and messing with things? People are crawling all over the place looking for anything to hit them with, so it will be glaringly obvious when he does something like this. Which, that's fine if he wants to be that foolish, he's had die-hard fans for years now who download and save everything he and the other members post. Considering many of those people are now former fans, I'm sure they'll have no issue reposting anything he's deleted so authorities can look through it. It begs the question once again, did their lawyers not give them any sort of precautions in terms of social media, or are they really that foolish to think that no one would notice something like this?